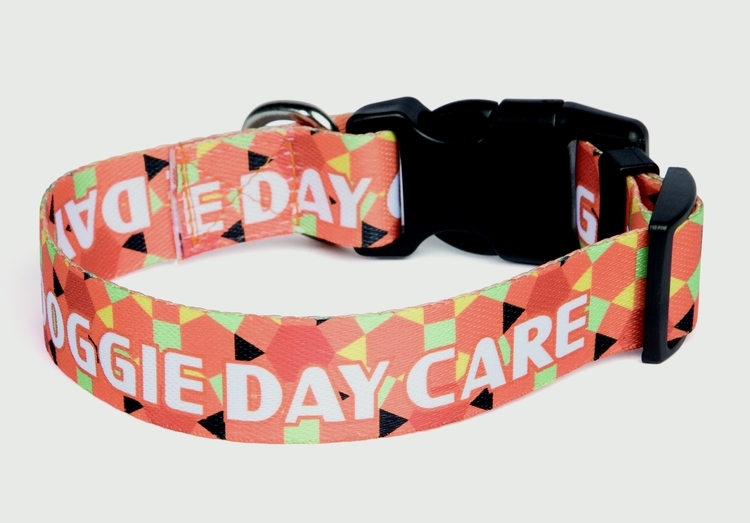 Dress up your pup with this durable dye sublimated dog collar. It's perfect for veterinary offices, kennels, grooming services, humane societies and specialty breed associations. This versatile collar comes in a variety of colors. Get your paws on this great promotional product! Price Includes: Choice of Material Color, Full Color Digital Print, Standard Attachments, Digital Proof. Setup $50.00 (R) for same imprint on both sides. $60.00 (U) for different art on other side.